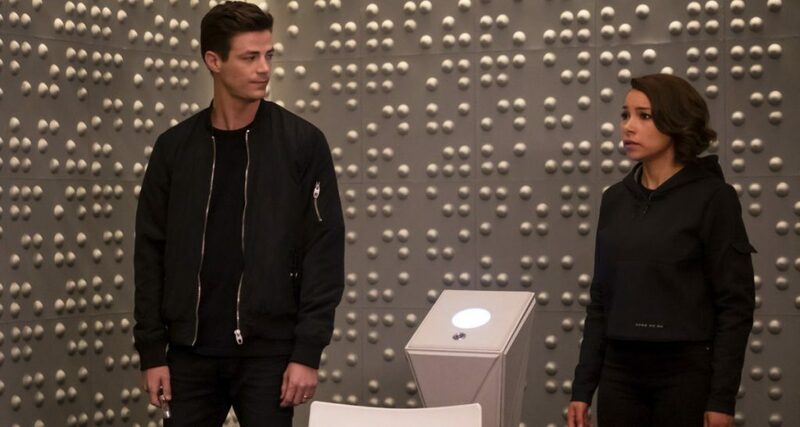 This week on The Flash season 5, Barry Allen and Nora West-Allen traveled backa to previous seasons of the show. This concept was partially to celebrate the 100th episode of the show. But, the episode was a good story about Barry and Nora that never felt like a mechanical or forced greatest hits. The revisits to Savitar and Zoom lacked interesting set pieces. But, in fairness, they were never very interesting in the first place. I was mostly okay with the episode brushing past them. The highlight of the episode was the revisit to Eobard Thawne. Barry returned to the same day that he’d previously visited. It was fun watching Eobard’s laidback amusement as he dealt with multiple Barrys visiting him. Tom Cavanagh is great in this role. His banter with Barry was great, but it was his scene with Cisco Ramon that really made the episode. Cavanagh and Carlos Valdes usually play off each other with playful banter on The Flash. But, the scene with Cisco and Eobard was a reminder of how much deeper they’re able to play it when the opportunity arises. The mix of affection and tension in this scene was incredible. Nora seemed very surprised to learn that Eobard killed Barry’s mother. At the very end of the episode, it was revealed that she’s been partnered with Eobard this entire time. I’m not sure how he’s alive or why he still looks like Harrison Wells in the future. But, as much as I hate that Eddie Thawne died for nothing, I enjoy it every time a show brings Eobard back. And Tom Cavanagh shines in the role. Cicada has been a flop of a villain all season and it’s a relief to get a hint that Eobard will emerge as the true main villain. I’m hoping Cicada will be defeated soon so they can concentrate on this much richer storyline. Also check out my review of last week’s episode of The Flash season 5.